In 2018 there’s no doubt that being sustainable and going green is a great way to build brand trust. From the largest corporations, through to the smallest local businesses, many organisations are using their eco philosophies and processes to help promote themselves for the better. But what are the lesser known benefits of going green? Now more than ever, data and information security is on the minds of all businesses, largely due to the oncoming GDPR on 25 May. This means that if a business needs to dispose of any information or data, it must do so in a manner that adheres to GDPR. But this also presents the perfect opportunity to use green credentials, as here at Microform, we utilise a highly secure document disposal service that not only destroys any information or data within a physical document, but it also leaves it open for recycling. By recycling shredded and compacted documents, it means that 73% less air pollution is created if the resulting paper was made from raw materials, as it takes no less than 24 trees to create a single tonne of paper. Find out more about our unique document disposal service, here. Throughout our years we have helped countless offices go paperless after implementing both document and cloud management systems, alleviating the need for paper documents and files. Not only does a paperless office mean that you can find information faster, while automating a number of time consuming processes, but it also means that an office that goes paperless is reducing its impact on the environment. There’s also a range of added security benefits too, which helps tick those all-important GDPR boxes. Believe it or not, various studies have shown that a company that puts focus on sustainability can actually find itself with a greater level of productivity, as well as reducing the average amount of sick days per employee. Other research has found that as many as 91% of millennials would actually switch companies based on how committed they are to investments such as sustainability. So, for companies looking to retain a young workforce, there can be no better reason than to go green in 2018. There’s nothing better than being able to cut down on overheads, and creating sustainable working practices can certainly help do this. 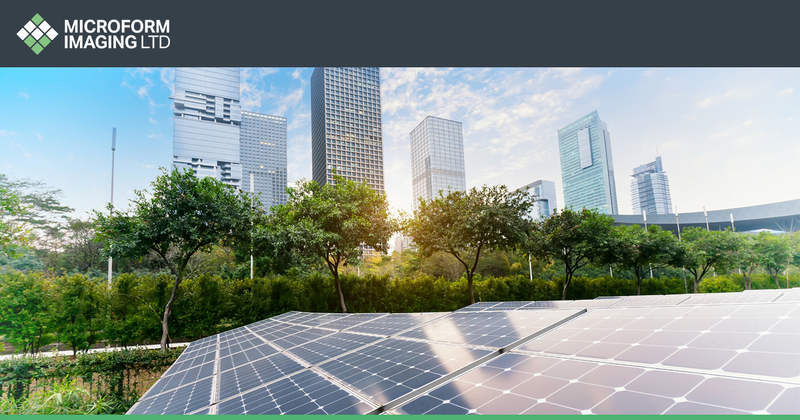 From installing LED lights, which can save around £240 per year, through to installing Intelligent Energy Monitors, which shut down devices when not in use, there is an incredible range of ways that a sustainable business approach can help save money. If you would like to know more information about our document disposal service, or any of our cloud management systems, contact us on 01924 825 700, or check out our contact page here.